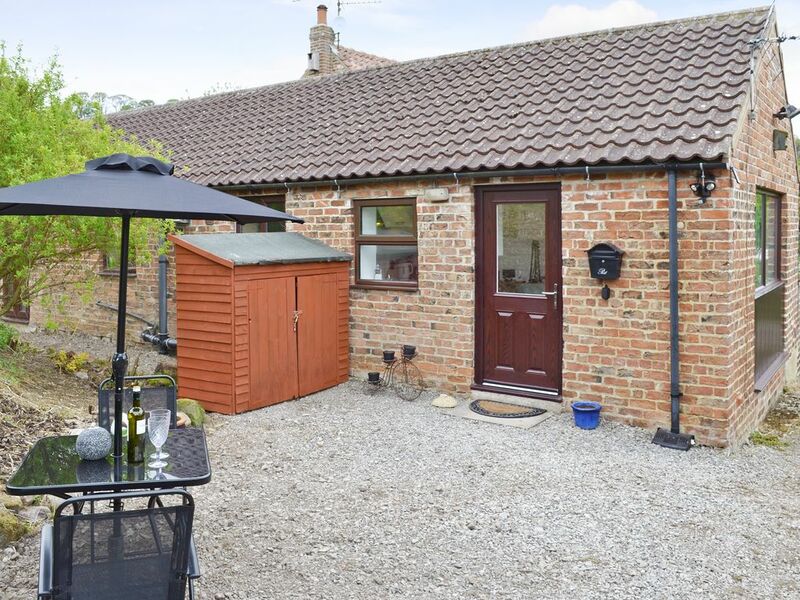 Choose from an action-packed holiday, or just gently tour the area from this dog friendly cottage (with warm outdoor dog shower), 25 miles from York. From the doorstep there are numerous footpaths and cycling trails and there is a renowned, traditional, dog friendly village inn serving local produce just minutes from the cottage. The village is home to a 4x4 driving centre which offers action packed days with off-road driver training and quad–biking, and at Sutton Bank, visitors can take a trial lesson at the Yorkshire Gliding Club and visit the nearby famous White Horse near Kilburn. Thirsk, 3 miles, is a quaint market town famous for its connections with James Herriot, the well-known vet and author of ‘All Creatures Great and Small’, its racecourse and 15th century church. Days out can be enjoyed at Rievaulx Abbey near the wonderful town of Helmsley, as well as Castle Howard and Fountains Abbey. Board the steam train at Pickering to be transported through the stunning North York Moors to the coastal port of Whitby and explore the fishing villages at Robin Hood’s Bay and Staithes. The Yorkshire Dales are easily accessible by car and the historic walled city of York, 25 miles, with its iconic minster, exquisite architecture, museums and art galleries, is not to be missed when visiting Yorkshire. Shop 4 miles, pub and restaurant 500 yards. Living area: With Freeview TV, DVD player with a selection of DVDs, iPod dock and double sofa bed (for flexible sleeping arrangements). Gas central heating, electricity, bed linen, towels and Wi-Fi included. Large, enclosed lawned garden with sitting-out area and garden furniture. Bike store. Private parking for 2 cars. No smoking.